Myrtle Beach Law, a longtime client of InterCoastal Net Designs, recently underwent a total redesign to help modernize the look, bringing it up to par with their well-known name. 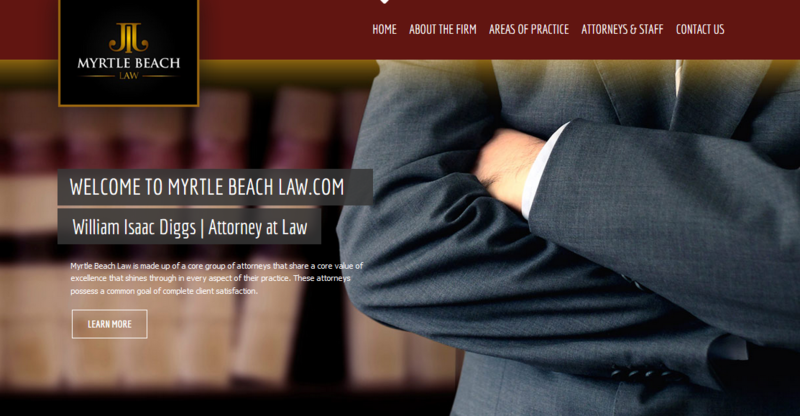 Myrtle Beach Law requested a new, professional look and we provided them with a top of the line, responsive redesign. Myrtle Beach Law is comprised of William Issac Diggs, Attorney at Law and Johana Naco Buford, Paralegal. Myrtle Beach Law also came on board as a Search Engine Optimization client during this redesign process. Team ICND will work on their site monthly to ensure top rankings on search engines for their target areas of interest. If you’re interested in revamping the look of your practice’s website, or you’re in need of a new professional site for your business, please contact our team today!